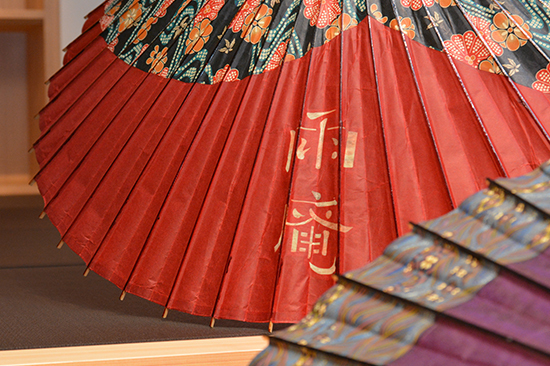 Highlighting the rain of Kanazawa - one of the charms of the city. An old proverb says, “You can leave home without your lunchbox, but never leave without your umbrella”. On your trip to Kanazawa, of course, we want you to enjoy fine days, but we also want you to experience the refined atmosphere the rain brings to the city. 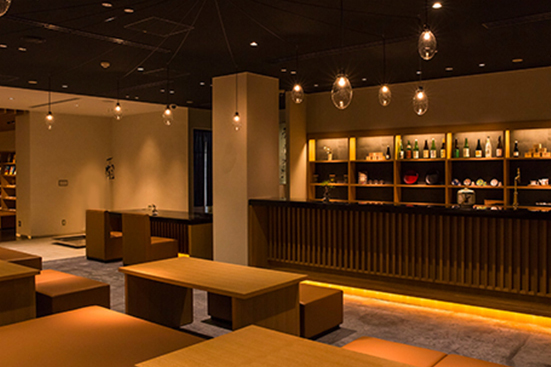 The idea of enjoying and experiencing Kanazawa in the rain is contained in “Uan”, a hotel with a name which evokes the rain. We want our guests to feel they were lucky to be here on a rainy day. With us, you can experience Kanazawa in a deep and meaningful sense. A walk around Kanazawa in the rain. The time spent in the exquisite splendor of Kanazawa forms part of your trip. The lounge at Uan is not just a place in which to take a rest. Kanazawa is famous for its flourishing tea ceremony culture, and guests can enjoy tea, experience traditional crafts, and appreciate works of art. We designed the lounge so that the time spent here becomes an unforgettable event for our guests. Sit back, relax, and let the minutes and hours pass by. Especially on a rainy day. Featured lounge and its offers in UAN.